﻿ Company Profile - WISE & HONEST MANAGEMENT CONSULTING CO., LTD. WISE & HONEST MANAGEMENT CONSULTING CO.,LTD. A domestic professional post-investment operating management agency. The company was initiated by Michael Yu in May, 2010. The company went into the field of entrepreneurial services in 2015, with the idea of “professional, efficient and always being with you”, Providing value-added services with professional 、breadth and depth for the investment institutions and business projects. The post-investment management has involved the project in the early, with its rich online and offline resources as well as its deep insights and researches into the related investment fields, based in Beijing, deeply plows the whole country, and radiates overseas. Through a variety of entrepreneurial innovation activities, screening quality projects, delivers them to domestic and foreign investment institutions; at the meantime, the company assists the investment institutions to carry out professional, complementary post-investment operation management enhancement, as well as to provide customized professional services for different projects and institutions, helping the entrepreneurship projects steadily go to the next round of financing. Meanwhile, WISE & HONEST MANAGEMENT CONSULTING CO., LTD. also provides services such as public relations, public affairs, resource docking, digital media and other communication services and technical tools services for large, medium and small investment institutions and start-up projects. From media publicity and all kinds of activities to finding high-quality business projects, through the long-term services spanning the three stages of before, in and post-investment, establishing a close two-way bridge between the investment institutions and the entrepreneurial team. Sustained profitability Research Center is the professional research institute established by WISE HONEST MANAGEMENT CONSULTING CO., LTD. in March, 2012. It aims to help the entrepreneurs build and improve the business model, resource introduction, growth and expansion by conducting the subject counseling and tutoring, with its strong management consulting and project counseling capacity, it provides tailored and sustained profitable solutions for the entrepreneurial projects and shares business resources with the entrepreneurs. No. 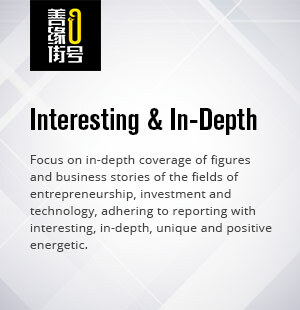 0, Shanyuan Street focuses on in-depth coverage of figures and business stories of the fields of entrepreneurship, investment and technology, adhering to the reporting style of interesting, in-depth, unique and positive energetic, it has exclusive columns including “Zhumeng ling”, “ka fei ling”, “hua jian ling” and No. 0 story , targeted reporting objecting includes thoughtful domestic and foreign entrepreneurs, investors and cutting-edge entrepreneurs. WISE & HONEST EIDC research center was established and released "private enterprises operating report "